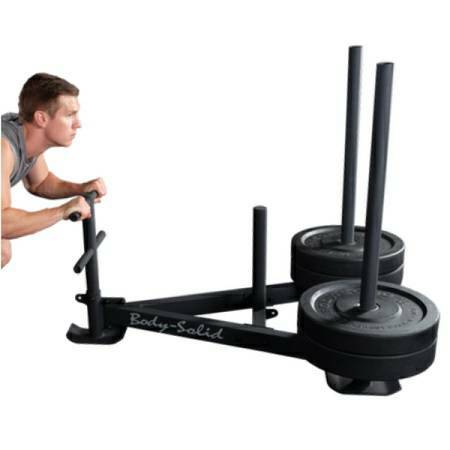 Weight sleds offer a wide variety of exercises to specifically address the many needs of today's athletes and fitness enthusiasts. 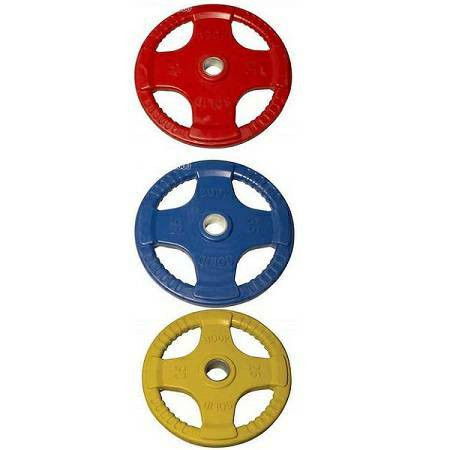 They can be pushed, pulled, or dragged to target muscle development, endurance or aerobic training. 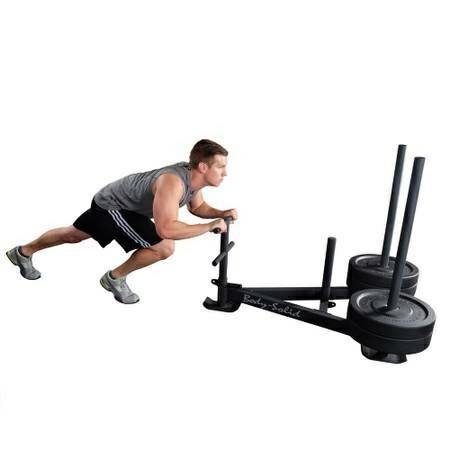 Weight sleds offer a variety of functional exercises designed to work your quadriceps, hamstrings, anterior & posterior chain and more! 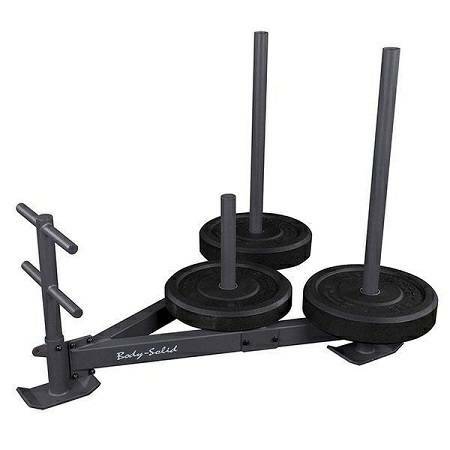 Body Solid Rage GWS100 Weight Sled features a durable heavy-gauge solid steel mainframe. Along with the center weight post, the removable posts double as weight plate posts. Multiple attachment anchors allow you to attach almost any vest or belt giving this sled unmatched versatility. Vertical and horizontal hand posts offer several positions on both sides for pushing and pulling exercises. 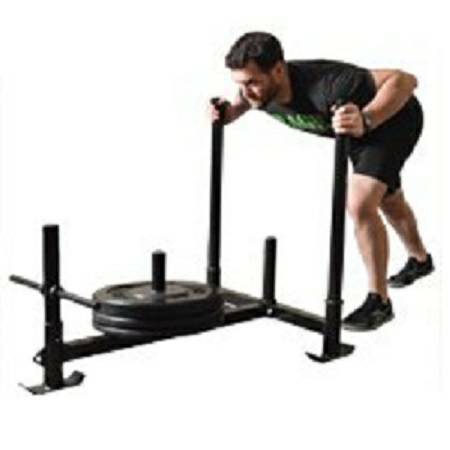 Whether you're looking to beat the competition in sport or just want to have the healthiest body you can, the GWS100 Weight Sled will fit those needs. 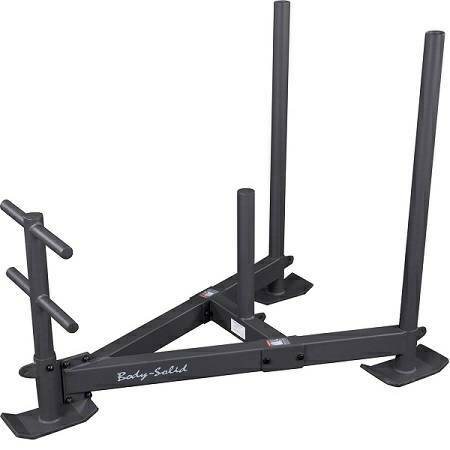 The GWS100 is compact enough to fit in a home or garage gym but sturdy enough to withstand strenuous work at a commercial facility or training studio. Dims: H 40" x W 31" x L 42"